There’s probably not much I can say about RPG Maker which you don’t already know. 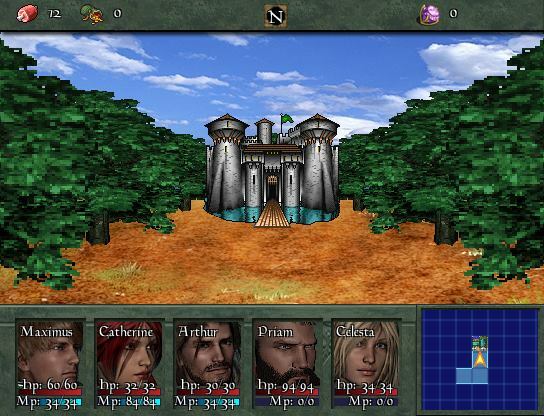 It has just about everything: editing possibilities for just about every aspect of the game, a scripting system and a programming language above that, tons of available support material from graphics to music and scripts, numerous example projects, tutorial PDFs and videos all over the web and so on. Oh, and don’t forget the option to sell your work once it’s finished. 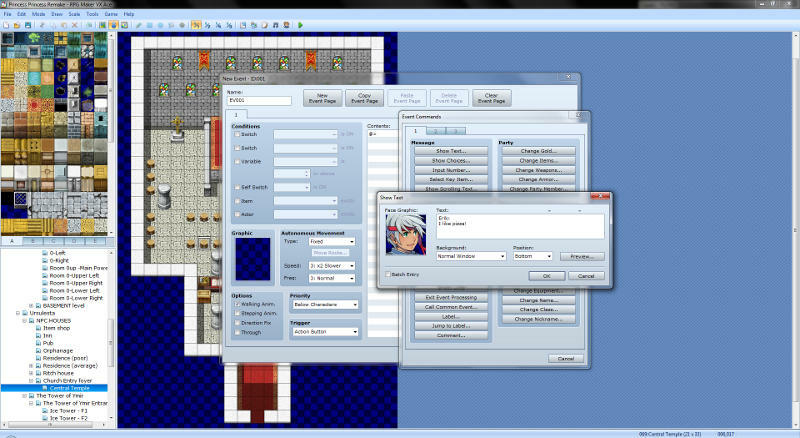 The newest version, RPG Maker MV, even has the option of conversion to mobile platforms in that regard. What’s putting me a little off is the amount of work to get started; there are default events, skills and spells, but not in the slightest enough to build a full game. I wonder if Enterbrain ever thought about offering an event library for sale instead of the regular graphics and sound expansions? And of course, if the Japanese look doesn’t strike your fancy, you’ll have to do some more work to replace all of it with something that looks a little more familiar. The bottom line is: RPG Maker offers by far the most power and the most reward for ambitious CRPG builders. But it also demands by far the most time and ambition, as thousands of unfinished projects tell! Prepare yourself for spending the spare time of several years to create something that resembles professional projects in terms of size and gameplay. Or choose one of the other toolkits on this site and just have fun.